Apollo Tyres has handed over its brand management responsibilities to J. Walter Thomson creative agency after switching from last year’s partner The Brooklyn Brothers agency. After acquiring Vresdestein, a century-old Dutch company, in 2009, Apollo now has two brands under its portfolio – Apollo and Vredestein. JWT will work on both of these brands on a global scale. It is interesting to note that currently, over 45 per cent of the company’s total revenue comes from overseas operations. 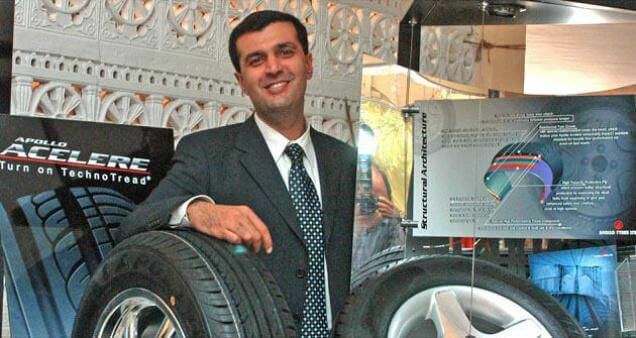 Moreover, the homegrown tyre maker is aiming for $6 billion revenue by 2020 and is expecting to get 60 per cent of it from overseas operations. The company recently appointed Mathias Heimann to handle its operations in Europe and America. Now, it is easier to understand that proper brand management is crucial for Apollo Tyres if they want to compete against global giants such as Michelin and Pirelli. The global foray will also require big investments and Apollo is planning to invest Rs 5,500 crore to build new facilities in India and Hungary by 2018-19. J. Walter Thompson will provide its services from London, Amsterdam and New Delhi offices, and will deal with Apollo Tyres’ global marketing office located in London. The Indian tyre giant has a clear vision – Build a strong global team to become a global brand.